Order by 12/10 for Christmas delivery. Create a unique gift for the special child in your life with this new personalized storybook! 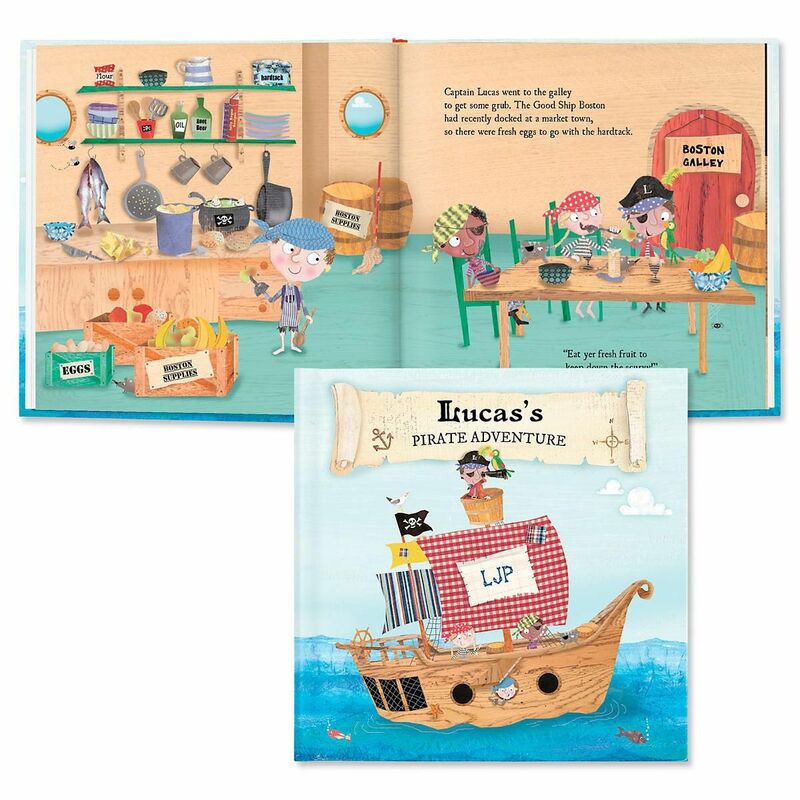 Make your child the star of the fully personalized story by customizing the pirate with your child's name, skin tone, hair color, initials, and more. Your little pirate will delight in this adventure on the high seas in which the crew of a pirate ship swab the deck, eat breakfast in the galley, sing sea chanteys, use a treasure map, and dig up buried treasure. A fun adventure for boys or girls, this book is perfect for ages 2-8. 9” x 9"; 24 pages.